KJIPUKTUK (Halifax) – The stigma I want to talk about a bit more after my last article, Ignorant ideas about welfare I hear a lot, stems from many myths about welfare in general. These are things a lot of people believe. Say your middle or upper class family members or friends who do not know social assistance from Adam, are sitting at the dinner table for a family meal. The conversation turns to welfare and how it enables freeloaders to bilk the taxpayers out of their hard-earned cash. Welfare encourages people to not work. Welfare recipients can milk the system indefinitely. Undocumented immigrants abuse the welfare system. The welfare system is full of loopholes that get exploited at the taxpayers’ expense. Most welfare recipients are single mom or single men with mental health issues. People who depend are just too lazy and do not want to work for a living. People on welfare are uneducated. What middle and upper class do not understand about the social assistance system here in Nova Scotia is the fact that there are a range of reasons as to why people have difficulty leaving the welfare system. Something I can say about this one as part of my personal account is that my disabilities of impulse control disorder and my learning disability are invisible disabilities. It is difficult to give statistics on how many persons on welfare have disabilities and how many don’t. But invisible disabilities range from cognitive, emotional, physical impairments to serious mental health problems. People with substance use problems or mental health disorders are a second category of people whose disabilities keep them from navigating the system. The people I am talking about here often do not have the energy to advocate making their situations better. It is also believed that these people are often afraid and scared to come out and admit to their problems. Some income assistance clients, when they do admit to having these problems, have been known to have their relationships with friends and families deteriorate. Middle and upper class people do not have to deal with income assistance. This means they do not have to live by the many policies, rules and regulations of Community Services. It is concerning that income assistance allowances are as limited as they are. Also, what those who do not live on income assistance do not understand is all the advocating that people on income are required to do to get what they need. My article Poverty matters. 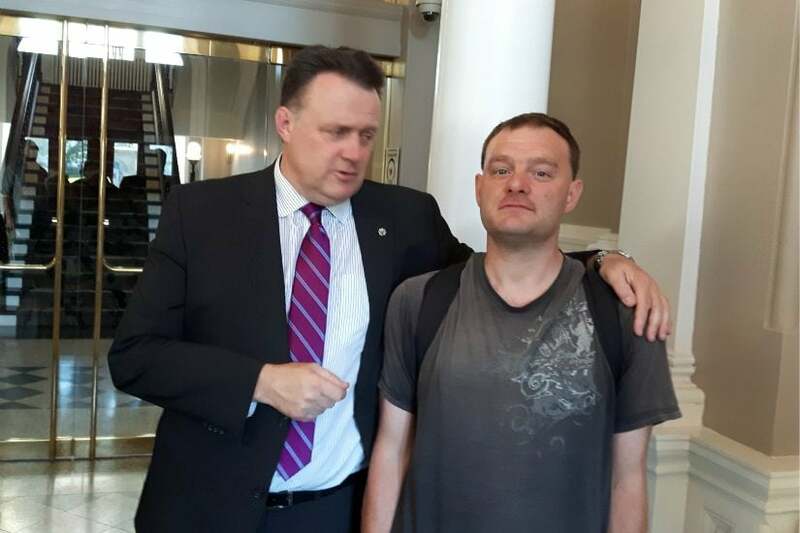 Let’s rally at Province House shows a complete example of people on income assistance not having energy to advocate making their situations better. Middle and upper class people just do not know the difficulty people on welfare face in getting covered for things like a special need. People are trying. There are lots of people on social assistance who job search for a long time, some get interviews, however for some reason they do not get hired for the jobs they applied for. Often these reasons have a lot to do with the stigma I talked about. Other people have tried to get Community Services to support them to go to College or University to get a higher education, but all they get is no. and aptly named Advocate. Fr. Byron Woolcock,TDC. A great article Kendall, you continue to amaze me.Keep up the good work . Very insightful article, so many just don’t know what it is like. I was once there and know what it is all about! People on assistance need more people to advocate for them.